I am a native Chicagoan and an advocate of all things urban. At a young age, I developed a passion for urban planning and real estate. I remember being fascinated from witnessing the substantial growth of downtown Chicago and documenting, in photos, the progress of various projects throughout the city. 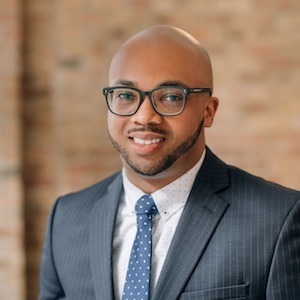 I turned that passion into a career as an urban planner, and in 2011 I received a Bachelors of Arts in Urban and Regional Planning from the University of Illinois at Champaign-Urbana. From there, I continued to develop my skills as an urban planner through my 6+ years of experience in the public and nonprofit sectors. As a member of the American Institute of Certified Planners, I adhere to a high standard of ethics and conduct. I specialize in the areas of zoning, land use, and building code enforcement. I am available for site analysis and consultations related to the above-mentioned specialties. As a Realtor, I am committed to maintaining a high level of customer service and driving results! I enjoy assisting sellers in getting the biggest possible return on their investment, buyers avoid the pitfalls of purchasing a home, condo association in managing their property and small developers select appropriate sites for development. Due to familiarity, my focus communities are; Uptown, Edgewater, Rogers Park, Andersonville, North Center, Kenwood, Bronzeville and Hyde Park. If you are looking to sell, buy or lease don’t hesitate to contact me!